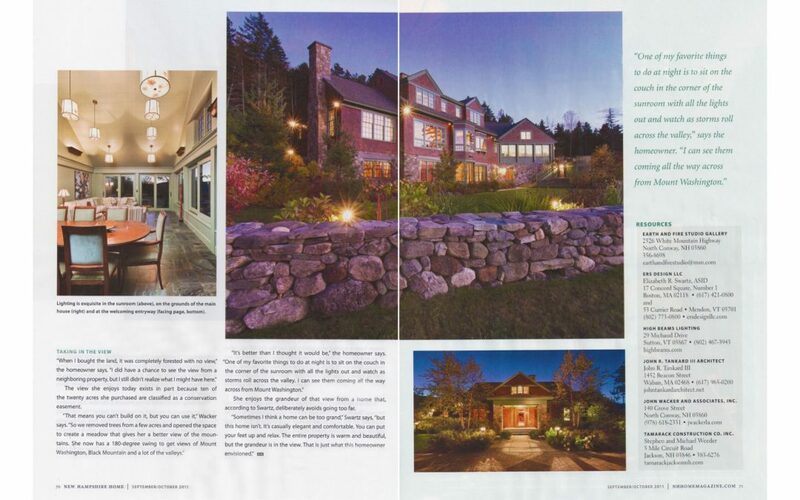 Tuckerman’s Ravine on Mount Washington provides the backdrop for the construction of this magnificent New Hampshire estate that combine the talents of the homeowners’ architect, contractor and Elizabeth Swartz Interiors. 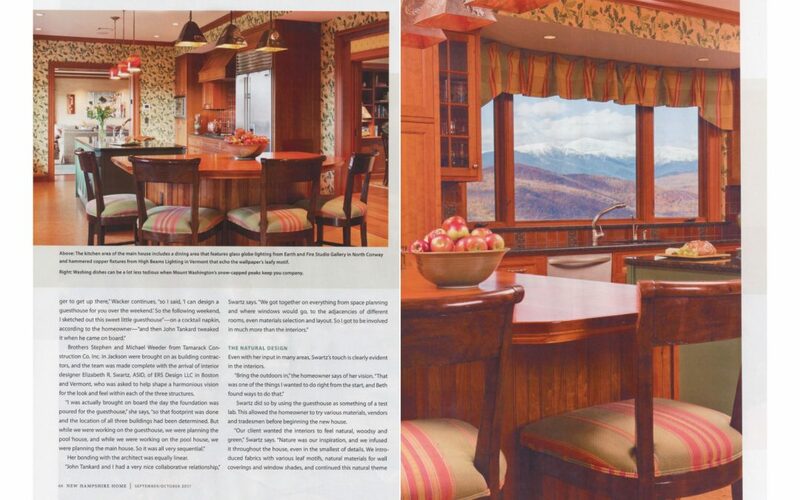 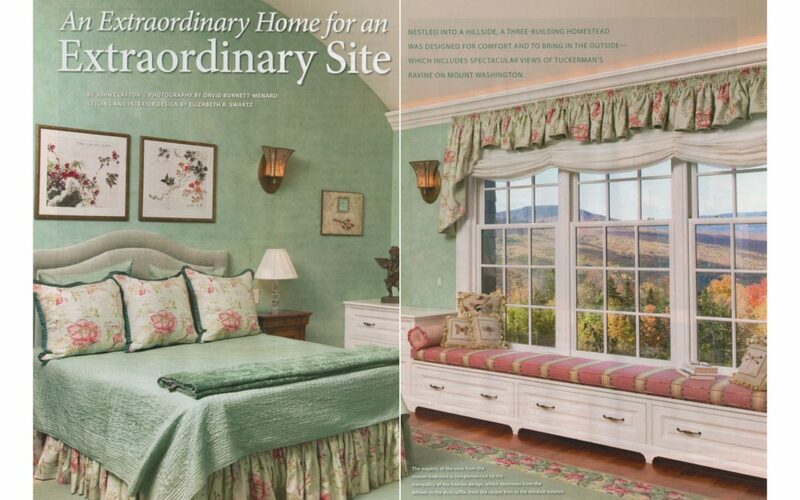 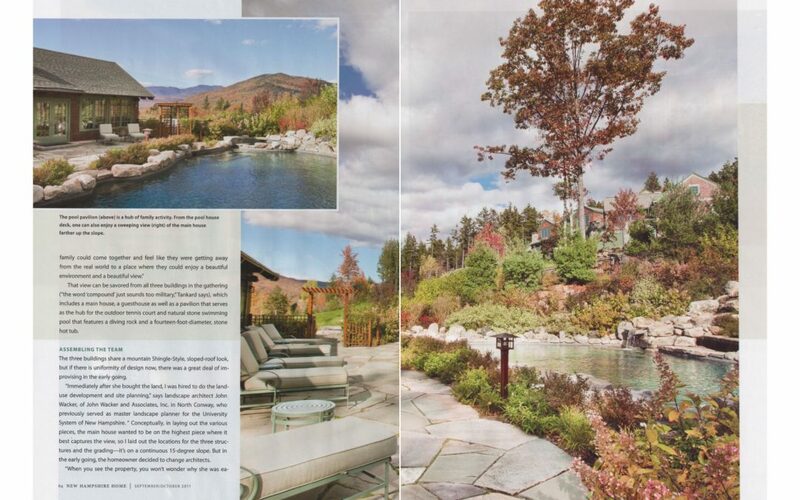 In the article, the homeowner discusses the importance of creating a family retreat where the “mountains were an important presence in my daily living.” Elizabeth Swartz, ASID, worked on the space planning and material selection as well as the interior décor. 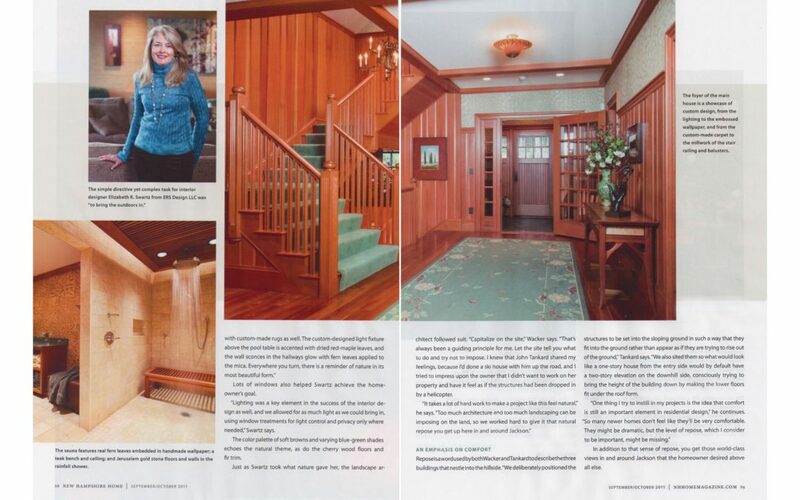 “Nature was our inspiration, and we infused it throughout the house even in the smallest details,” Elizabeth is quoted as saying. 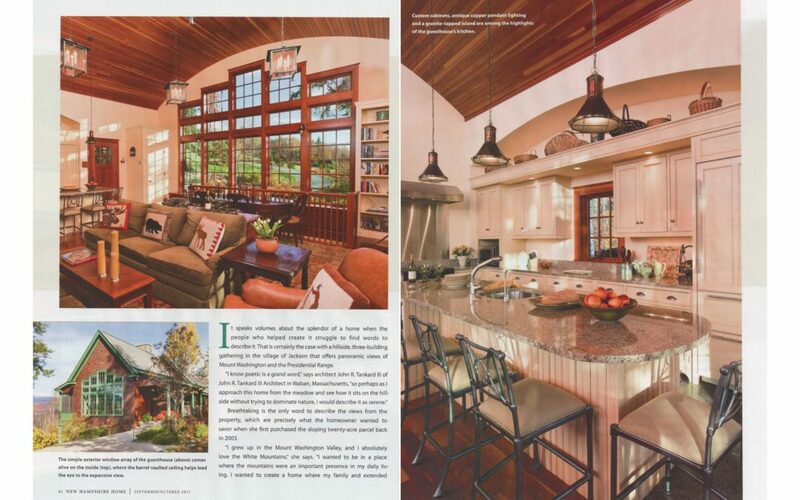 The colors and fabrics and the leaf motif found throughout the main house, the guesthouse and the outdoor pavilion are a reflection of this home’s grand mountainside setting.